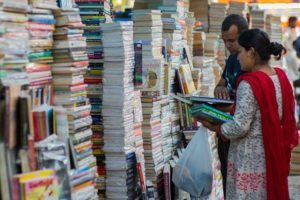 Well, Many of us already aware that Delhi is popularly known for a place where we can buy a lot of things at very cheap price from cloth to many things. There are a lot of wholesalers there. Wholesales markets here will a unique and fabulous experiences if you have time so that you can explore it. 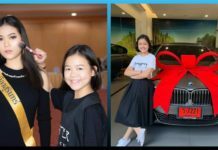 As there are a hell lot of markets where you can get the things at a very cheap price and for that, you need to have time and ability to bargain from them as most of the time their price is fleeced. 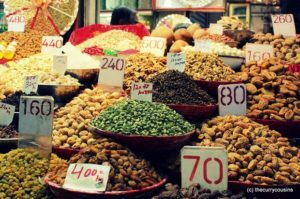 Khari Baoli is Asia’s largest wholesale spice market that deals in all kinds of spices, nuts, herbs and food products like rice and tea. And you will be welcomed by an amazing aroma of different spices fills the air once you enter in this area. Timings: Open all days except Sunday, from 10:30 am to 7:30 pm. 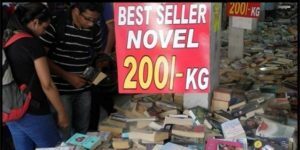 Well, It is also notable for being one of India’s biggest textbook markets and a publishing hub in Delhi. How To Reach Here: Nearest Metro stations being Chandni Chowk and Chawri Bazar – take a rickshaw/ auto rickshaw from thereon. Timings: Open all days except Sunday, better to be visited from 11:30am to 6:00pm. Are you passionately looking for old books without having to spend a huge amount on them? This place is just right for you. Timings: Preferable to visit from 11:00 am to 7:00 pm. 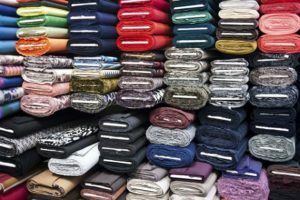 Welcome to Asia’s biggest readymade garments/ textile market, factories. You will get amazingly affordable kind of fabrics, readymade clothes, trims and laces. How To Reach Here: Nearest Metro station is Seelampur. Timings: Closed on Monday, it is open from 10:00 am to 7:00 pm. Tank Road is very popular for its awesome quality in denim clothing and branded jeans at wholesale prices. 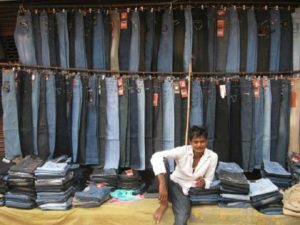 This market is the most popular one for budget denim shopping. 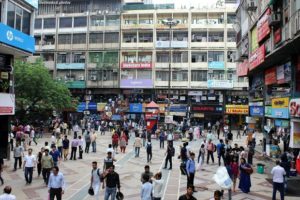 How to reach: You can take the metro and get down at the Karol Bagh metro station, walk a few minutes to reach the Tank Road market. Timings: Closed on Mondays, the market is open from 10:30 am to 8:00 pm on all other days. Chandni Chowk is one of the oldest and busiest markets of Delhi, it is also one of the biggest wholesale markets in India. You can get there all sorts of stocks in this market such as furnishing items, hotel and kitchen accessories and silver and gold jewellery along with food and sweets. Timings: Closed on Sundays, it is advised to visit this market between 11:00 am to 8:00 pm. 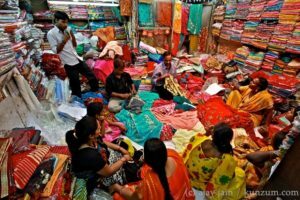 A fabric shopper’s heaven, Shankar Market is found right next to the Barakhamba Road in Connaught Place area. 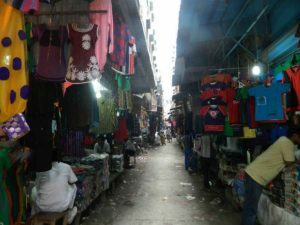 The market has two floors with more than 150 shops of fabrics, trims, accessories for garments to choose from. Known to be a matching centre. How to reach: Nearest metro station in Rajiv Chowk, you can walk for a few minutes to reach the market. Timings: Closed on Sundays, the market is open on all other days from 11:00 am to 8:30 pm. 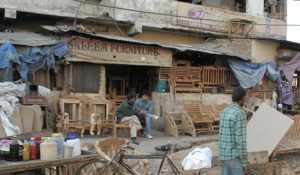 Chawri Bazar is established in 1940, Chawri Bazaar was the first market of Old Delhi. 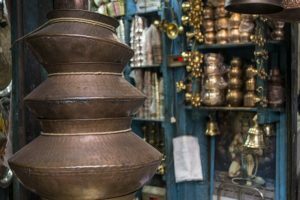 Known for its boundless variety in brass and copper products, along with idols of Lord Vishnu, Buddha and others. How to reach: You can take the metro and get down at the Chawri Bazaar metro station. Timings: Closed on Sundays, preferred timings are 11:30 to 6:00 pm on all other days. Do you want to buy mobile phones/ accessories at low prices? Then this is the places that you need to come to. How to reach: The nearest metro station is Karol Bagh, it is a few minutes walk from there on. Timings: Closed on Mondays, It is open on all other days from 9:30 am to 9:30 pm. P.S You can also find some exceptional shops here for amazing ethnic garments/ fabrics. 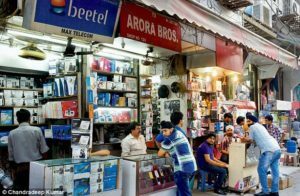 Nehru place is the hub for all the IT related products like laptops, computers, gaming stations, printers, cartridges, hardware and software related products at wholesale prices, this market is a one-stop shop for all your IT needs. How to reach: The nearest Metro station is Kalkaji ( Violet Line). One can choose to walk to the market which is about 7- 10 minutes away or take an auto rickshaw. Timings: Closed on Sundays, it is open on all other days from 10:00 am to 7:00 pm. P.S. Although there are only a few shops/ godowns, this market is a hidden gem for fabric shopping at wholesale prices. Kirti Nagar is situated in west Delhi, this market is loaded with showrooms selling wooden furniture, lighting fixtures, home decor and another interior/ home furnishings related products. Stroll through the stores for that perfect piece of furniture you have been looking for at surprisingly affordable prices. This market is supposed to be Asia’s largest furniture market and rightly so considering the number of showrooms and the variety that they have to offer. Timings: Closed on Mondays, preferred timings to visit this market are 11:00 am to 8:00 pm. Bhagirath Palace is Asia’s largest wholesale market for electrical tools, Bhagirath Palace houses some wonderfully stocked stores selling lights, lighting equipment, chandeliers, pendant lights, switchboards, and other fixtures. You will be amazed at the variety of light that they stock, beautiful and at affordable prices. How to reach: The nearest metro station is Chandni Chowk, you can take a rickshaw from there on. Timings: closed on Sundays, this market is open from 10:00 am to 7:00 pm on all other days.